Hello! We are the Parsons family. 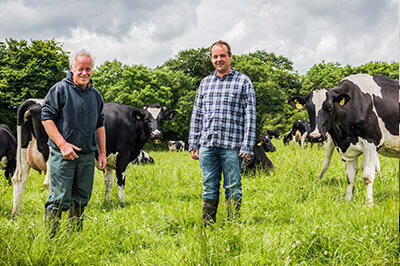 My name is Ben and along with my wife Katy and father Derrick, we run Great Simonsborough Farm, situated in the lovely Blackdown Hills. At over 800 feet, we are in a designated area of outstanding beauty, in East Devon, described as a ‘charming mosaic of countryside dotted with farms, villages and ancient features’.